B: Feet with two centered toes that are longer than the outside and inside toes. C: Compact oval feet with well-arched toes and fur between them. D: Deeply webbed feet with toes connected by a skin membrane. The correct answer is, drum roll please.. If you answered A, feet that are neat and round with high-arched toes closely held together, consider that this is the actual definition of another type of foot: cat feet to be exact. If you answered B, feet with two centered toes that are longer than the outside and inside toes, this is the actual definition of another type of foot: hare feet to be exact. If you answered D, webbed feet with toes connected by a skin membrane, that’s actually a characteristic found in dogs who were selectively bred to work in the water. So the correct answer is C, compact oval feet with well-arched toes and fur between them. Let’s take a closer look at snowshoe feet in dogs, shall we? To prevent sinking in the snow, the snowshoe distributes the person’s weight over a larger area. 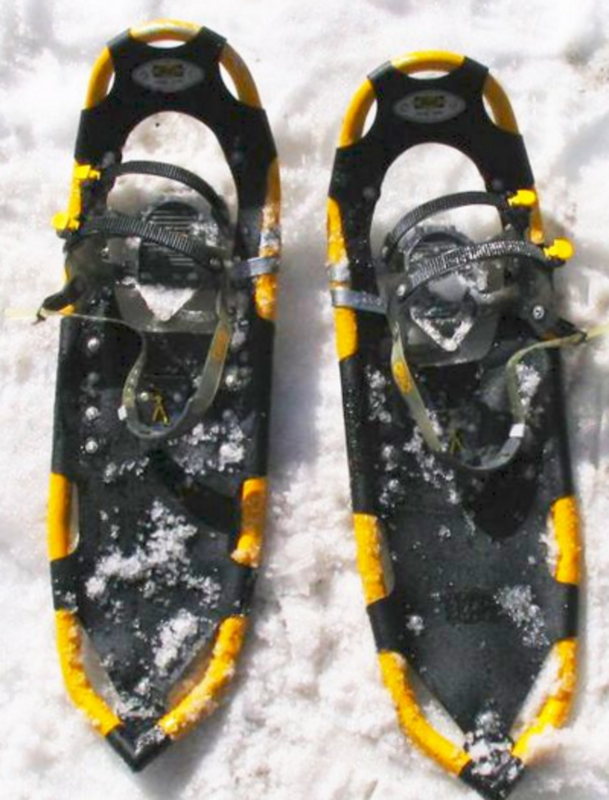 The snowshoes are also built in such as way as to not accumulate snow as people walk. Before the development of snowshoes, Mother Nature had gifted animals with special feet that made walking on the snow easy. The snowshoe hare, as the name implies, evolved with over sized feet so he could move more efficiently over the snow. Among dogs, a couple of dog breeds have snowshoe feet meant to help them navigate more efficiently through the snow fields. Just like snowshoes, their paws are large so to distribute their weight across a greater surface area, a quality that prevents them from sinking into the snow. “The feet are of the snowshoe type, tight and deep, with well-cushioned pads, giving a firm, compact appearance. The feet are large, toes tight fitting and well arched. There is a protective growth of hair between the toes. 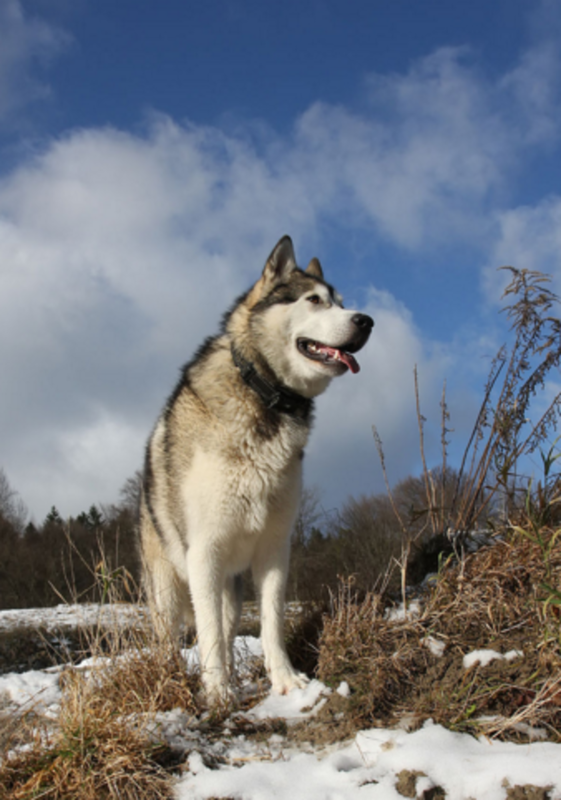 The pads are thick and tough; toenails short and strong.” American Kennel Club Alaskan Malamute breed standard. Interestingly, the fur between the toes also offers an advantage when walking over snow. According to the book “Meet the Breeds: A Guide to More Than 200 AKC Breeds” edited by The American Kennel Club, the fur is there for protective purposes. That fur protects these dog’s feet while pulling sleds over ice and snow. However, that same fur that helps these dogs in arctic habitats may cause problems in domestic settings. Many owners report that hair between the toes makes some dogs prone to slipping when walking on tiles or hardwood floors. American Kennel Club, Finish Lapphund standard, retrieved from the web on February 23rd, 2016. American Kennel Club, Glossary, retrieved from the web on February 23rd, 2016.